"But we are ready to look for resolutions that would work for both Russia and Japan, and which would be accepted by the people in both countries," he said, adding that he was sure relations would have "new impetus" following the talks. "I will continue to make utmost efforts with President Putin to bring an end to the issue," Abe told a press conference after the summit, according to a report in Japan's Kyodo newswire. Abe added that they had agreed a "road map" to realise the economic projects on the islands. The summit came just ahead of huge Russian military drills, which are set to start on Tuesday in eastern Siberia, involving some 300,000 troops as well as Chinese soldiers. 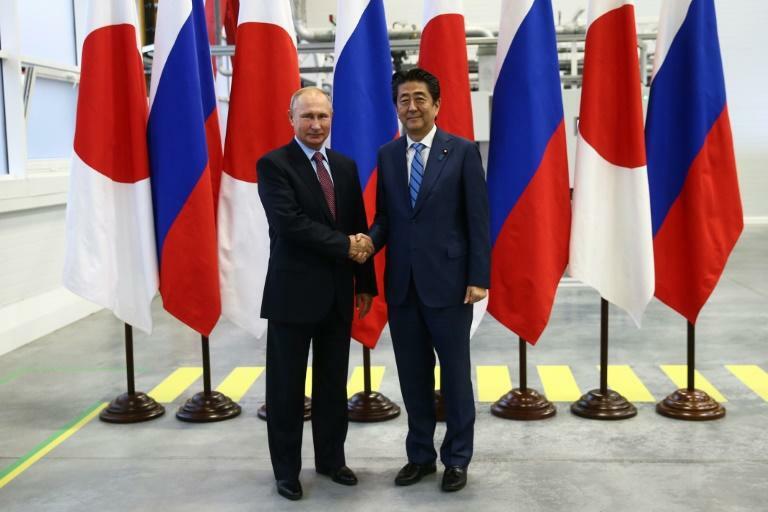 While Moscow has said the drills will not take place on the contested islands, Abe told Putin that Japan is "keeping a close eye on" them, according to Deputy Chief Cabinet Secretary Kotaro Nogami quoted by Kyodo.